This paper starts with a general description of the AEG Transportation Systems, Inc. Automatic People Mover System. Subsequently, the specific safety requirements of the ATP, and the consequent design features to meet these requirements are described. Following this introduction, details of the relationship between designer and certifier, the utilization of embedded rules-based systems, the concurrence of the design and certification process, and the de-coupling of the safety functions from the hardware are given. 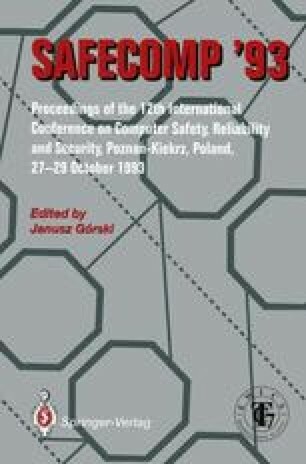 It is described how the dramatic improvements in the traditional large costs and long schedules normally associated with both the design and certification of safe computer systems are made possible.